Municipal plumbing applications require components that you wouldn't normally see in other installations. 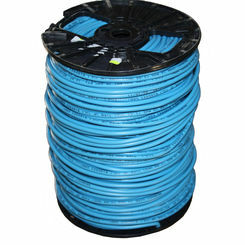 Tracer wire is one of those important elements for city plumbing.  Buy wholesale tracer wire from the plumbing experts. If you have any trouble determining which product is best for you, read this guide or contact our staff via chat, e-mail, or telephone. Throughout our cities, no matter where you live, there are networks of municipal application pipes underground that go from place to place. These underground networks range from gas lines, water lines, sewage lines, and fiber optic cables. Most of the items are built with non-metallic material, so you are unable to find them without digging. Tracer wire is installed next to these pipes for you to use a tool called a wire tracer. This machine will help you locate the wires once they are buried in the ground by the pipes or cable. Some of these machines can be handheld but sometimes are a little too large for that. The installation of tracer wire helps solve many problems for builders and construction workers. They are able to locate the buried pipe quickly and know where it is safe to dig. So when you are designing a piping system either for water or sewage, you need to make sure to use tracer wire. By doing so, you are saving people the hassle later on because, in the event of an accident, it will help speed up the fix. Unfortunately, some water departments do not use tracer wire at all. Once you lay the pipe, you lay the tracer wire alongside the length of the pipe. On occasion, people put it in the pipe depending on what the line is being used for. You cannot just choose any tracer wire. It has to maintain its electromagnetic integrity, so when a pipe or line goes bad, it is easily located before the problem gets bigger. The wire has to be able to withstand the natural effects of being buried deep into the ground and survive the elements. You have to make sure to choose the correct one for the correct piping, so in other words, you need to take proper care in choosing which wire to use. The APWA (American Public Works Association) has a uniform color code so you can look at the tracer wire and know what kind of pipe it is. The red wire is for electric; yellow is for gas, Orange is for communication, blue is for potable water and green is for sewer. If you are planning on burying the wire, 12-gauge insulated copper wire (open to the ground at the far end) is a great choice. 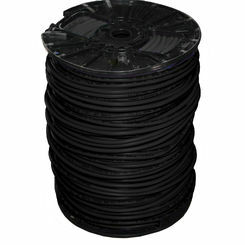 PlumbersStock, we carry tracer wire from a top manufacturer, Regency Wire. They have been industry leaders since 1985. They supply high-quality wire that will help you complete your projects. We sell the item per roll. 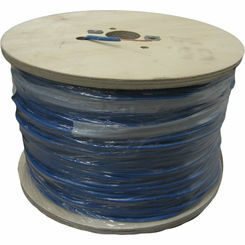 The most common one we sell on PlumbersStock is the 12 gauge 1 strand 500’ roll. No matter what type of burial piping system that you are putting in, PlumbersStock has the answer. Using tracer Wire is a great preventative option in securing a safe, convenient, and healthy plumbing system. If you have any questions, please do not hesitate to contact our customer support by phone. Our staff of professionals can help you find the right product for the job, and can also answer questions about shipping.